Chicken casseroles are the personification of a quick and easy meal. 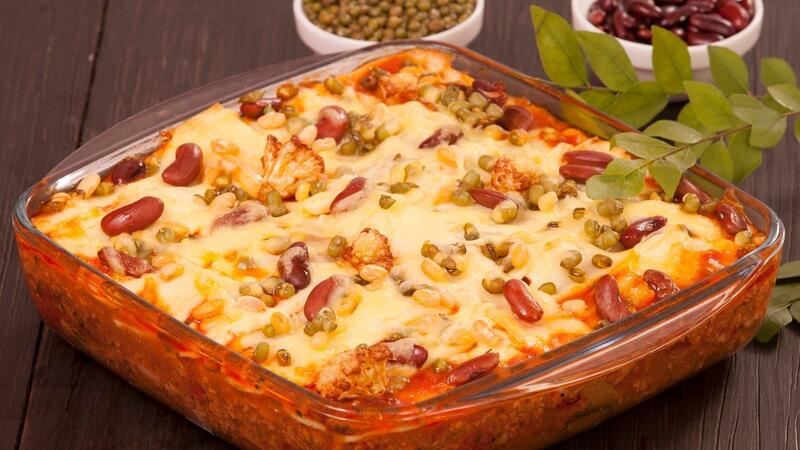 This is a Mexican fusion recipe with the addition of three types of beans. A great dish that can be made ahead of time, reducing a la minute cooking. Try out the full recipe below! In a bowl, stir together chicken, Knorr Chicken Seasoning Powder, curry leaves, nutmeg and vinegar; set aside for 1 hour. Meanwhile, preheat oven to 250°C. In a baking dish, toss cauliflower florets with ½ the olive oil; bake until tender; reduce oven temperature to 200°C. Finish with Knorr Tomato Pronto and roasted cauliflower and cook for few minutes; adjust seasoning. Transfer the stew into a baking dish and spread paneer cheese on top. Top with cheddar and bake until cheese is completely melted and bubbly.